Thanksgiving is just around the corner and it’s time to think about what to serve your guests. We’ll be hosting our 4th annual Indoor Thanksgiving Market on Sunday November 20th, 10-1 in the Swampscott High School Atrium. If you haven’t joined us in the past, it isn’t one to miss! Stock up on fresh local vegetables and goodies to bring to the host or to serve up to your guests. Long Hill Orchard will be bringing Turkeys for those who preorder with them. Please email them at longhillorchards@gmail.com or call 978-363-2170 to place your order for pickup at the market. Some sizes do sell out. Mia’s House of Sweets will be selling her wonderful scones and treats and will be taking orders for fresh pies that can be picked up on the day before Thanksgiving at Town Hall from 9-12. Clark Farm with be bringing apples, winter squash, honey, cranberries, greenhouse tomatoes, kale, leeks and cauliflower. Grant Family Farm, Salem Spice, The Soup Guy, Ackermann Maple Farm, AllFruit, Arrowhead Farm, Moran’s Pet Food, The Pickle Emporium & Alfalfa Farm will also be joining us. And don’t forget our 4 legged friends and pick up some dog treats from Moran’s pet food. 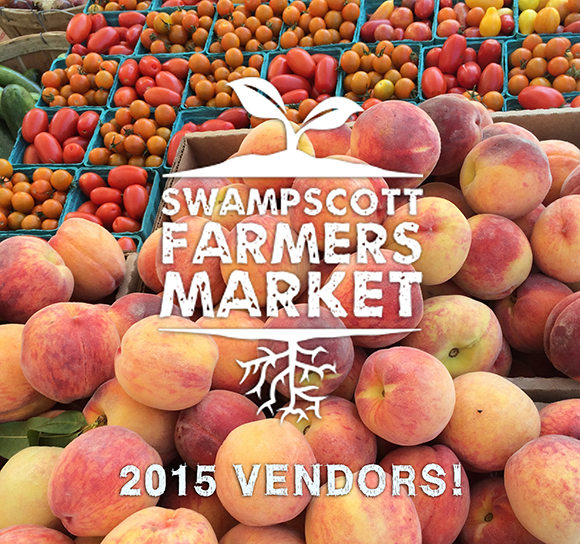 We are still waiting on final confirmation with our other vendors but we will update our event page as soon as we have them so be sure to like the Swampscott Farmers Market on Facebook. Alfalfa Farm will be there with their terrific Blueberry Wine, a NEW dry blueberry wine as well as a limited amount of 2016 Strawberry Wine, made from the berries picked at Marini Farm in Ipswich this past spring. It is a semi-sweet wine, with a strong strawberry nose and a pleasantly surprising rose finish. Delicious! And of course they will have a great supply of their Cranberry Wine, perfect for ALL the holidays. They are also hosting their annual craft fair: “Crafts and Cranberries” on Nov 27 from 1 -5. The Swampscott Historical Society, Donna Bagarella jewelry, Dave Matthews Pottery, Bills Beads, Barefoot Books, Sew Envious Crafts, Salem Soapworks, Kat’s Latest Addiction as well as Town of Swampscott selling long sleeve t-shirts. Salem Soapworks will have lots of holiday baskets in an assorted price range ($10.00 – $25.00), in addition to their usual products. For further information on the market please call the Recreation office @ 781-596-8854. 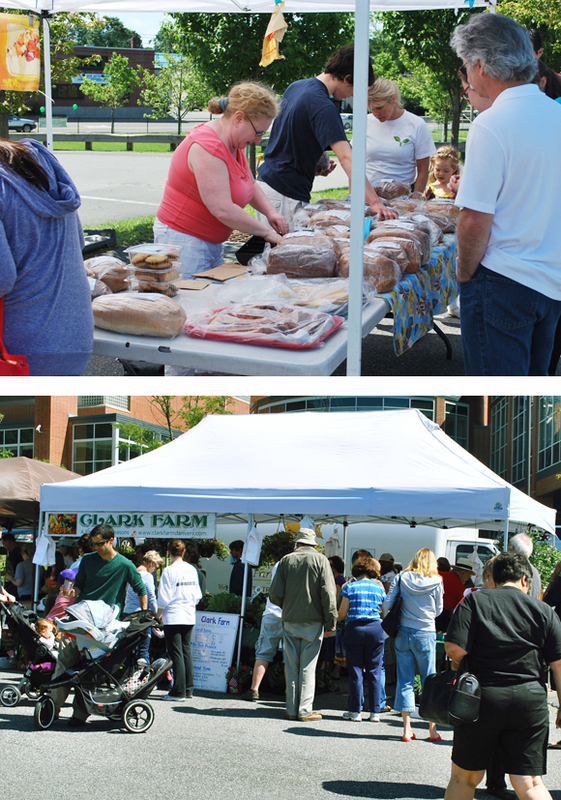 Looks like we have another beautiful day in the works for this Sunday’s market! Thank you to everyone who joined us at our Safety Day last weekend. This weekend Swampscott Pizza & Grill will be joining us serving up crepes, Moroccan pancakes, smoothies and other breakfast fare! Stop by to pick up a delicious breakfast along with some produce & fresh fish or meat for dinner! Our crafters this week will be Salem Soap & Storyteller Jewelry. Our musician will be Jon Waterman. We will have coloring available for the kids. We are very excited to be welcoming many of our fantastic vendors from last year back to the market as well as a number of new exciting vendors! We will be featuring vendor spotlights on the blog throughout the summer so you can learn more about each and every one of these amazing local vendors so don’t forget to check back in! Below is a list of vendors that will be joining us for the 2013 market. It’s possible that a few more may join us throughout the summer but we will be sure to update you as they join. We will also have a number of talented craft vendors joining us in addition to this list, we will update you on those vendors as the summer progresses.